“Civil Lines hopes to appear irregularly, twice a year for a start.” Among the many promises this magazine of “fine unpublished writing connected with India” made and kept, the first part of their opening manifesto was religiously adhered to. It is only now that the best of Civil Lines has been collected in Written For Ever (Penguin India), some 16 years after the magazine’s birth. 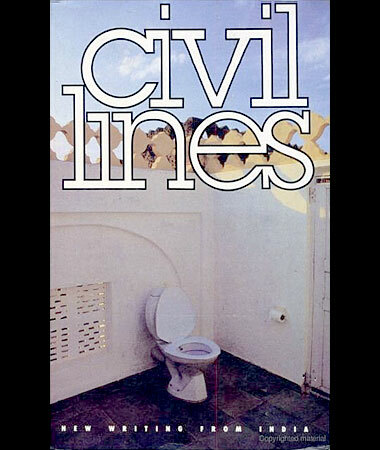 The first issue of Civil Lines came out in 1994; between that date and 2001, the magazine took on a mythical aura, assisted by the fact that Civil Lines sightings and basilisk sightings occurred at roughly the same frequency. The cover photographs by Sanjeev Saith became as iconic as the contents between the covers. Readers have consoled themselves with the reflection that Civil Lines shares its somewhat erratic tendencies with some of our finest Indian writers and thinkers, who seem unnaturally disinclined towards actual publication. But for those of us who have—and incessantly talk about, much to the annoyance of those who don’t—the complete collection of those five slender volumes, Civil Lines evokes a rare admiration. It’s not just the roster of names who were published by Civil Lines, or the fact that many of them became names (or became much bigger names) post-publication: the editors, with their collective knowledge of the Indian intellectual circuit, had a knack for spotting emerging talent just before it became established talent. Some, like Manjula Padmanabhan, Raj Kamal Jha, Ruchir Joshi, Amit Chaudhuri, Amitav Ghosh, Suketu Mehta and Allan Sealy, were evolving into the writers they are today. Some, like Radha Kumar, Bill Aitken, Sonia Jabbar and Tenzing Sonam, are well-known for their work in other fields, and add the label of “professional writer” to a host of other achievements. Some, like Dilip Simeon, first gave notice of brilliant work to come in the pages of Civil Lines—Simeon’s novel, expected out soon, grew out of the incredibly incisive and funny ‘OK TATA: Mobiloil Change and World Revolution’. In many ways, Civil Lines mirrors the successes and failures of the wider world of Indian writing in English. Here, in its five volumes, is the brilliance, self-referential wit and passionate engagement of some of the best of our writers. The magazine’s appearances may have been erratic, but the editors, with Kai Friese joining their ranks, displayed a virtue unusual in Indian literary circles—quality control. And it’s significant that the silence from Civil Lines is mirrored by a decade of uncertainty in Indian writing in English—more writers have been writing to the marketplace, rather than for themselves, in the last decade than ever before. It is perhaps too much to expect that Civil Lines 6 will herald a return to the glory years when the magazine was an annual affair, but I would be content to see the magazine reach Civil Lines 10 before—well, let’s say 2030 to be on the safe side.